My flight boarding pass indicated that I was to sit in seat 4A on Virgin Australia flight VA568 from Sydney to Melbourne. As I entered the plane, I took my special, and highly prized, Virgin Service Glasses (VSG) from the collection bin just inside the plane door and found my way to my allocated seat. Now the VSG are not your average glasses. No, VSG are unique to Virgin Australia and the main reason why this airline is achieving phenomenal sales success in this competitive domestic airline market. In seat 4B, my fellow passenger was a young business woman, and she too was quite excited at the prospect of wearing her VSG on the flight. In what looked like synchronicity, we both took our VSG out of the protective cases and placed them delicately on our faces. A few minutes later, the metal, robotic Flight Attendant, as is typically found on all Australian flights, commenced the automatic routine of moving up and down the plane aisle to answer any questions and to make sure that all passengers had fastened their seatbelts in preparation for the scheduled takeoff. 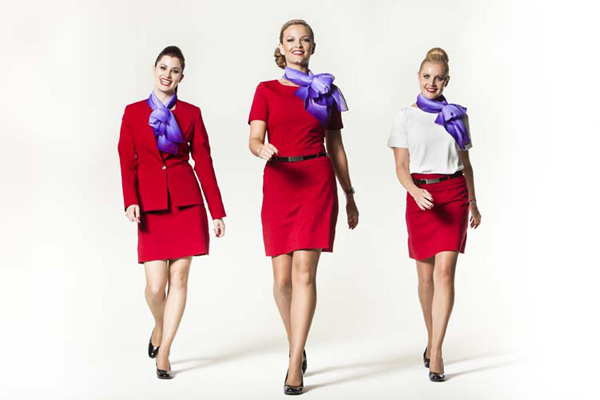 As I was now wearing my VSG, instead of seeing a robotic Flight Attendant, I only saw an attractive young blonde woman wearing a red Virgin uniform with bright red lipstick. However, the woman passenger in seat 4B saw a different image. She saw a young, dark haired, rather muscular male Flight Attendant wearing tight trousers and an equally tight fitting shirt. Yes, in case you were wondering, we were both looking at the same robot. Now this is the rather special characteristic associated with the VSG. They provide the wearer with a fictional person that complements the particular mood that they are in at that specific time of the day. If I, or the woman sitting in seat 4B, had have caught an earlier flight, the Flight Attendant image we would have been presented with in our VSG would have been completely different. This is the charm of the VSG, each flying experience is unique and varied. From the perspective of the airline, they can utilise the services of a cost effective, bland, inanimate, ugly looking, metallic robot to do all the mundane inflight activities. However, the VSG passengers, only observe the Flight Attendant of the dreams! The result is a well behaved and exceptionally polite group of passengers, as no passenger wants to upset, or offend their special Flight Attendant! So next time you are flying on a Virgin Australia plane and you receive a friendly wink from the Flight Attendant, don’t think about the gesture too emotionally, as you may be rather disappointed once you have removed your VSG. And in case you were wondering, the VSG only works on the plane, you can’t take them home and try them out on some non-robotic, unsuspecting individual! Note: If only this wasn’t fiction! Thanks for the feedback, if you know a Hollywood agent, let me know! You can have a commission for the introduction…LOL!